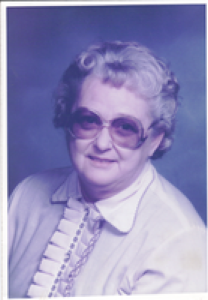 Pearl Annabelle Barga, 79, 1100 S. Kuther Rd., Sidney, Ohio died at Good Samaritan Hospital in Dayton, Ohio on Monday, November 3, 2008 at 1:45 AM of cardiac arrest. She was born October 18, 1929 in Sidney, Ohio the daughter of Charles Edgar and Pearl (Davidson) Young and they are deceased. She was married January 29, 1953 to Marcellus Barga and he died in 1973. Surviving are six children, Kathleen M. Williams of Wapakoneta, Ohio; Mark Barga and wife Shirley of Sidney, Ohio; Robert Barga and wife Ronda of Nashville, Tennessee; Linda Sharp and husband Richard of Sidney, Ohio; Diana New and husband Rodney of Sidney, Ohio and Terry Barga of Bellevue, Kentucky; 15 grandchildren, 9 great-grandchildren and 1 great-great grandchild and one sister, Betty Woolley of Versailles, Ohio. Three brothers and one sister are deceased. She was a 1947 graduate of Sidney High School. She was of the Christian faith. She enjoyed painting, crossword puzzle books, and bingo. She had worked at the Sidney Holiday Inn, Kmart and Odd-Lots at one time. Funeral services will be held on Friday, November 7, 2008 at 10:00 AM at Salm-McGill and Tangeman Funeral Home with Rev. Alice Wolfe. Burial will be at Graceland Cemetery, Sidney. Friends may call at Salm-McGill and Tangeman Funeral Home in Sidney on Thursday, November 6, 2008 from 4-8 PM. Memorial contributions may be made to the American Heart Association, Ohio Valley Affiliate, PO Box 163549, Columbus, Ohio 43216-3549. Envelopes will also be available at the funeral home.